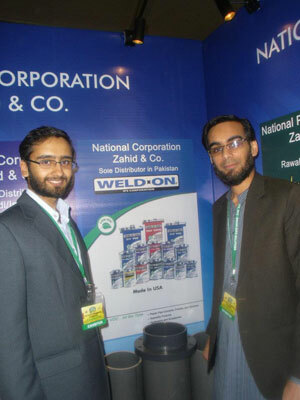 National Pipe Corporation was established at Jinnah Road, Rawalpindi in 1970. Currently, we are authorized exclusive distributors in Pakistan of a number of world's leading brands. We started our business with G.I. (Galvanized Iron) pipes, fittings and brass valves. Soon after we added C.S. (Carbon Steel/Malleable Steel) range to our products. After a decade of successful operation, we became authorized dealers of the renowned KITZ brand Brass Valves. In 1998, we supplemented our product range with PVC (PolyVinyl Chloride) pipes and pipe fittings. As business expanded, we opened a second outlet in G-8/1, Islamabad in 1999. In 2005, we introduced PPR-C (PolyPRopylene type C) items at our outlets. In 2011, we set up the HMB plaza opposite DHA Phase II, Islamabad to act as our Head Office and display center. Most recently we have started importing top of the line CP fittings from Italy. For more information please visit the products section. We continue to work hard to provide you the best plumbing supplies from around the world.